FREE SHIPPING anywhere in the lower 48 states! 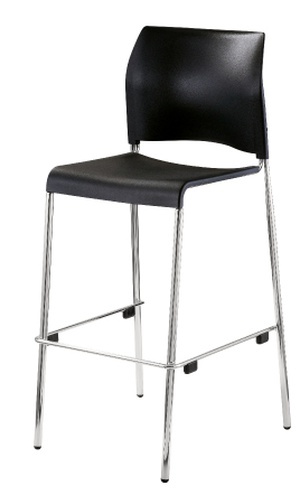 NPS® has expanded its popular Series #8800 Cafetorium Chairs to include a Bar/Cafe Height Stool option. The same gorgeous, modern looking seat and back, mounted to a taller four-legged frame in Bar or Cafe height with a 31" high seat. 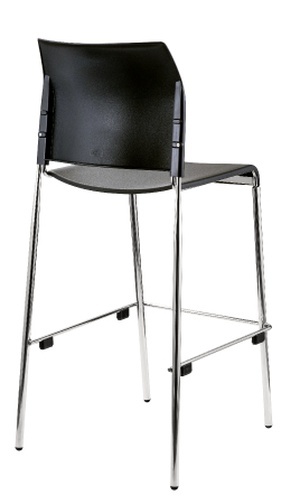 Matched to the Cafetorium Chairs - in plastic seats - we now offer a solution for the entire cafeteria seating environment.